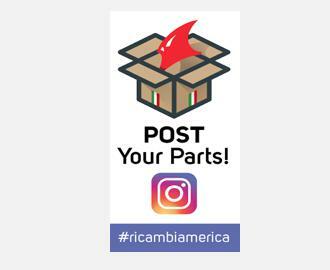 PS01 Pedal Set Installation - Ricambi America, Inc.
Fitting time should take approximately an hour with the advice given within the installation guide. The following drills for cutting metal: 3.0mm, 5.5mm and 6.5mm (1/8”, 7/32” & 1/4”). The drills must be sharp! A few very important points before we start! It cannot be stressed enough the importance of using sharp drill bits. If you run the drill bit too fast, the drill will burn out and will not cut. First of all place a piece of newspaper on the floor of the foot well. 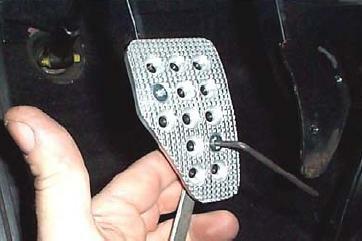 Remove the old rubber pedal covers by pulling them gently off from the pedals. They are fixed with an ”Evo-Stick” Type glue. 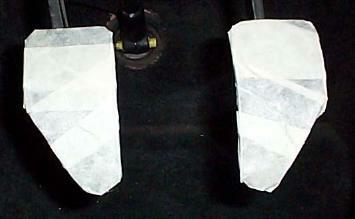 Now mask the front of all 3 pedals (Accelerator not shown). 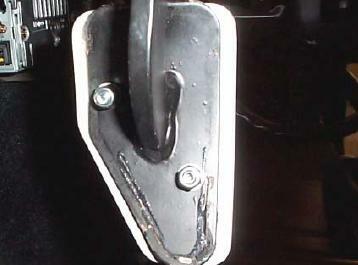 The back of the brake pedal looks like the picture below (with aluminium pedal cover fitted). This is to show you that you need to choose the hole positions carefully as to not drill into the pedal arm. 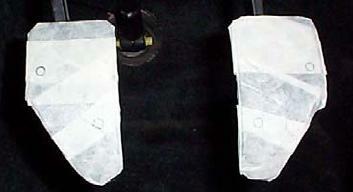 Now place the correct pedal cover onto the matching pedal, and centralize it to the pedal. Mark the holes with a pencil making sure you do not move the pedal whilst doing so. 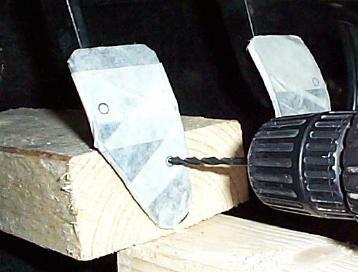 It may help if you have a clamp or grips to hold the pedal in place while you mark the holes. 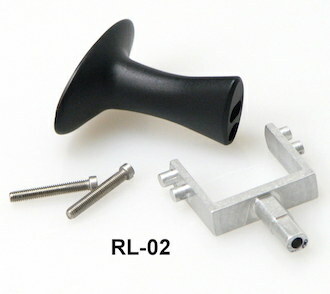 If either is used, make sure that a packing piece is used as not to damage the front of the pedal cover. 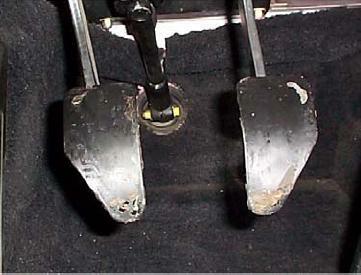 You should now have all 3 pedals marked and ready to be drilled. Now that we have all the holes drilled out with the 3mm (1/8”) drill, change over to the 6.5mm (1/4”) drill. This will be for drilling out the holes on the Clutch & Brake only. 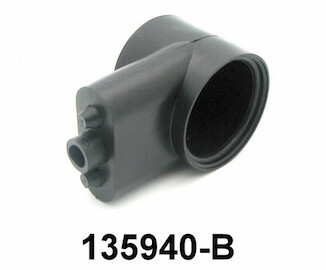 (IMPORTANT – This drill bit needs to run at about 500-1000 RPM.) Carefully drill out the smaller hole being careful that you do not push too hard on the drill as it breaks through. This will drill out quite easy as we have drilled a pilot hole. Change the drill bit for the 5.5mm and drill the holes on the accelerator pedal, again the drill speed should be between 500-1000 RPM. Once you are happy with the holes that you have drilled, remove all the masking tape from all the pedals and remove the sharp edges from both sides of the holes using either a small file or using a bigger drill by hand to cut the edges off the tops of the holes. Be careful, as the burrs will be very sharp. 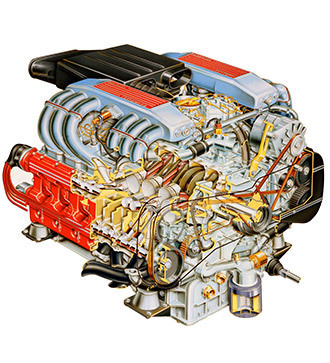 The M6 Bolts are used on the Brake/Clutch and the M5 Bolts are used on the accelerator pedal. When installing it is advisable to leave the fixings loose until all bolts, washers and nuts are in place. This will allow the pedal to be positioned correctly before finally tightening them up. Double check that all the fixings have been tightened correctly. 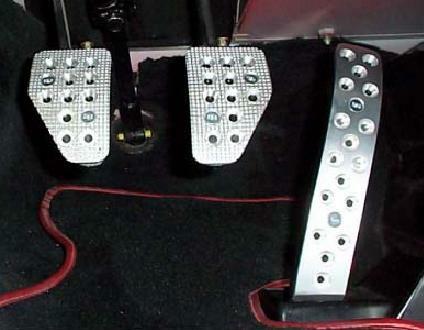 The finished pedals in place and ready to use!